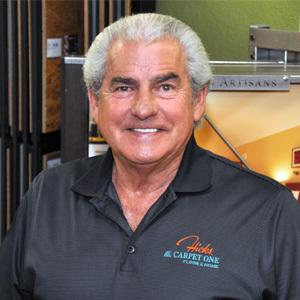 With one of the largest selections of carpet, hardwood, laminate, tile, vinyl, area rugs and more — you'll always find the best products and greatest savings every day at Hicks Carpet One Floor & Home in San Antonio! All of us here, the Hicks Family, have been hired, trained and re-trained to do the job correctly, quickly and with utmost respect for both you and your home! We know that this is what will keep you coming back and that's what keeps us in business. We’re now in our fourth generation of Hicks Carpet One Floor & Home and are proud to be helping the children of our previous customers. We hope to include you as part of the traditional and trustworthy service we have been providing our clients for over 75 years! We want you to be 100% happy that the floor we’ve created is as beautiful as the one in your dreams. If not, we’ll replace it for free. We're committed to the community. Getting involved is our way to give back and make a difference to our employees, customers and community. We support the search for a cure for breast cancer by donating 25% of the purchase price of our Pink Ribbon Welcome Mats. Let us show you why we've been in business for over 75 years.